The provided archive includes the source code, binaries, example files and help documents in English and German. If you would like to have a preview on the manuals or examples, you can find them on our “Help” pages. Z88OS is released under GNU GPL. You are free to download, use, study, modify and copy/share this software. Z88V15OS runs on all 32-bit and 64-bit Windows releases from Windows 7 to Windows 10. For Linux we support the distributions Ubuntu and OpenSUSE, on Apple computers macOS 10.12 (Sierra) is supported. Other operating systems or distributions are not tested (but you can give those a try by yourself). The following ZIP archive contains the binaries and source code for all operating systems. Please unzip the downloaded file to the directory C:\z88v15os (Windows) or to your home directory ~/z88v15os (Linux/macOS). Further information for the installation can be found in the manual, which is located in the directory …/z88v15os/docu. For Linux and macOS certain libraries are required, which need to be installed through a Linux package manager (e. g. Synaptic) or MacPorts before using Z88OS – full particulars can also be found in the manual. 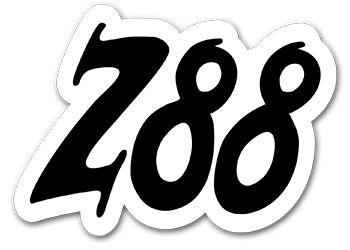 New: Z88OS is also available on GitHub.